Today I'm freelancing, so I'll keep this short. It doesn't start until after lunch, but still. I need to get going. 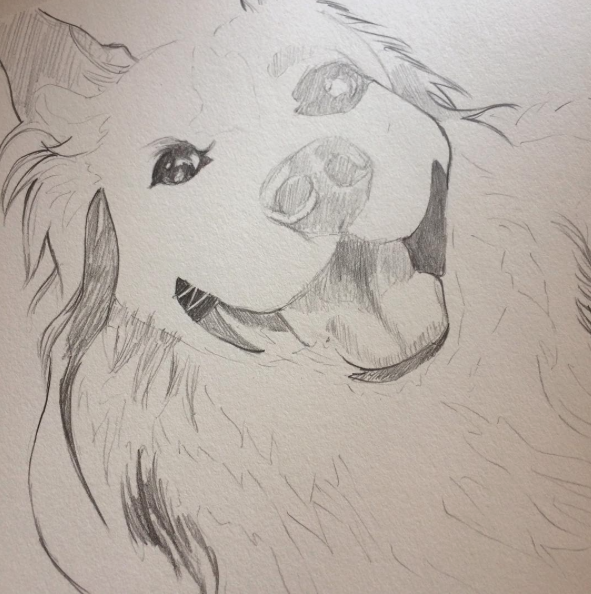 Here's an image of a pet portrait/sketch I started yesterday. Hopefully I'll post an update to my Instagram (@Jonezee85) before I leave for my gig today.